Oregano (scientific name Origanum vulgare) is a common species of Origanum, a genus of the mint family (Lamiaceae). True allergic reactions can also occur as a result of eating spices, inhaling spices or skin contact with spices. Allergic symptoms from eating spices most likely would include hives and swelling of the skin, but could also include gastrointestinal symptoms, respiratory symptoms, as well as anaphylaxis. Inhalation of spices could result in symptoms of asthma, as well as swelling of the airway. Skin contact with spices could result in rashes, atopic dermatitis, as well as allergic contact dermatitis at the site of skin contact (More, 2014). Oregano is an important culinary herb, used for the flavour of its leaves, which can be more flavourful when dried than fresh. It has an aromatic, warm and slightly bitter taste, which can vary in intensity. Good quality oregano may be strong enough almost to numb the tongue, but the cultivars adapted to colder climates often have a lesser flavor. Factors such as climate, seasons and soil composition may affect the aromatic oils present, and this effect may be greater than the differences between the various species of plants (Wikipedia, n.d.). 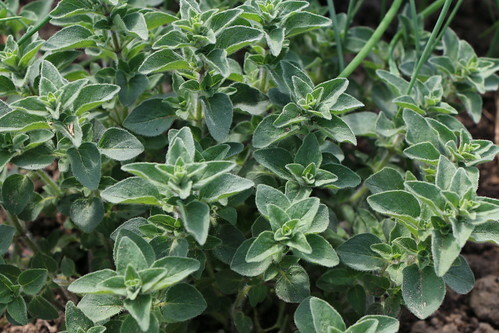 Check out this site to learn the ins and out of oregano.